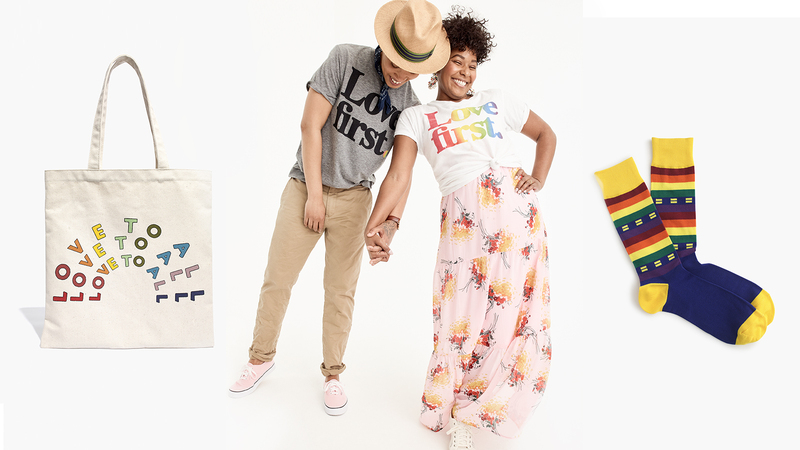 HRC is proud to join forces with J.Crew and Madewell on apparel and accessories for Pride month this June to help advance efforts to achieve full equality for all LGBTQ people. Half of the retail price of both lines -- available at J.Crew and Madewell stores nationwide, as well as online at the HRC store -- will benefit HRC’s work on the front lines of the fight for full LGBTQ equality. HRC is working against discriminatory laws and practices at the state and federal levels, protecting the gains the LGBTQ community has made, and mobilizing members and supporters in the ongoing fight to advance equality. “There has never been a more critical time to support the Human Rights Campaign. Chad and his team represent our strongest front in the everyday fight for equality. I’ve always believed that the best way to affect change is to be part of that change. J.Crew and Madewell are committed to being better citizens at the everyday level, to do what we can to help bring about a more inclusive world,” said J.Crew Group CEO Jim Brett. J.Crew’s “Love First” line includes men’s, women’s and kids’ shirts, as well as exclusive HRC socks. Madewell’s “Love to All” line will include a women’s shirt and tote bag. They’re available at J.Crew and Madewell stores, as well as JCrew.com and Madewell.com, and online at the HRC store.